It only took about eleven months, but lighthouse heritage champion Tim Harrison finally got the Ross Holland Award that the American Lighthouse Committee voted him last September. The award is the national preservation community’s highest honor for lifetime contributions to the preservation of America’s lighthouses and their history, and Tim — publisher of Lighthouse Digest Magazine, founder of the Lighthouse Depot and American Lighthouse Foundation and a tireless crusader for the cause, certainly deserves that. After several missed efforts to mesh schedules, ALC co-coordinator Mike Vogel finally managed to make the long journey from the Dire Straits Lighthouse, ALC’s legendary headquarters, to the Maine Lighthouse Museum in Rockland, where Tim had journeyed for five hours from Cutler “Down East” for a museum board meeting. The journey from Dire Straits is always shrouded in time but considerably longer; the leg from Buffalo alone took about 11 hours. Tim is the handsome guy on the right. Mike’s on the left, the award’s in the middle, and we’re not sure who the keeper in the background is. It’s not Wayne Wheeler, because Wayne is in constant motion. Both guys got the memo about khaki slacks, and considering their divergent paths they also wound up kind of color-coordinated in the shirt department. Credit Stacey Vogel and Kathy Finnegan, who witnessed this transfer along with some Vogel kids and grandkids. It was fun to catch up with Dot Black as well, and to see the museum surviving and its fabulous displays still unchanged. Hopefully, with financial support and Coast Guard cooperation on the artifact issue, that can continue. I confess a bit of nostalgia for the old museum on Limerock Street, in an old Victorian house shared with the Daughters of the American Revolution. Ken Black had that set up so that kids could push a button on the first floor and activate a fog horn in the basement. That’s not a popular option in the new digs, as the basement houses the Rockland Police Department and the blast probably would be noticed. That’s not a problem up in Dire Straits. Not only is the sound of the fog horn kind of exciting, there being not much else happening in these parts, but we don’t have to house a police station in the basement coal bin either. The area’s so poor that we don’t have crime, because there’s nothin’ worth stealing. Down at the corner store, Caleb Farnsworth keeps an old dog we call Offisa Pupp, and he’ll do. Sleeps most of the time, because with all the fog there’s not much to see and no perps to track anyway. He’s deaf in one ear, too, so he just keeps that side turned toward the fog horn and the other turned toward the pot-bellied stove. And that’s the news from Dire Straits. If you recognize the allusion to Offisa Pupp, well, a lot of water has slid under your keel by now. We’ll keep the light on for ya. 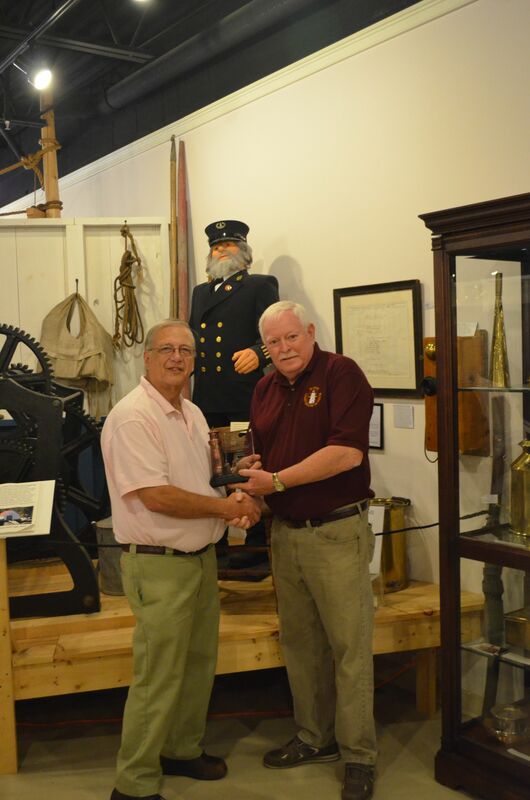 Two new recipients of the Ross Holland award were announced September 17, 2014, at the Maritime Heritage Conference in Norfolk, Virginia. The award winners are Timothy Harrison and the U.S. Lighthouse Society. Timothy Harrison is a Michigan native who adopted Maine as his home state – making lighthouses a natural lifelong calling – Timothy Harrison has been a major figure in the publication and preservation of Lighthouse Service history and lore, and of news within the lighthouse preservation community. In 1992, he co-founded Lighthouse Digest magazine, following that a year later by opening the nationally known Lighthouse Depot gift store and mail order catalog, located in Wells, Maine. In 1994, Harrison launched the American Lighthouse Foundation and its adjunct Museum of Lighthouse History in Wells, later merging its collections into the Maine Lighthouse Museum where he serves as a board member. Mentored by the late lighthouse preservation leader Ken Black, one of the first Holland Award honorees, Harrison also organized a national lighthouse education conference in New Bedford, Massachusetts, sponsored the Public Broadcasting System mini-series Legendary Lighthouses and other lighthouse documentaries, authored and co-authored a number of lighthouse books, founded the Friends of Little River Lighthouse and headed the group’s restoration of that lighthouse in Cutler, Maine. 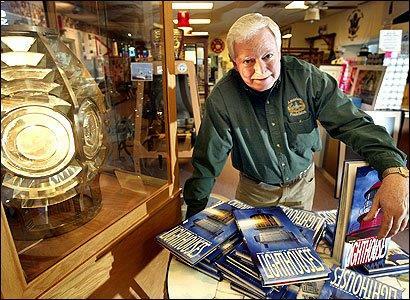 Harrison retired from Lighthouse Depot in 2004 to spend more time on lighthouse research and writing and in 2007 ended his 13-year presidency of the American Lighthouse Foundation. He continues to be editor and publisher of Lighthouse Digest and, with the assistance of his wife, Kathleen Finnegan, who is the managing editor, maintains a Web site with information on thousands of lighthouses as well as an extensive archival collection of rare and many original historic lighthouse photographs and lighthouse related documents. Harrison’s years of contributions have earned him awards from several nonprofit lighthouse groups, the United States Coast Guard’s Meritorious Public Service Award, and the rare designation from the Commandant of the U.S. Coast Guard as an Honorary Chief Petty Officer. The American Lighthouse Council is pleased to add to that list the nation’s top lighthouse community honor, the F. Ross Holland Jr. Award. Envisioned and organized by lighthouse community leader Wayne Wheeler, the United States Lighthouse Society has played a seminal role in promoting lighthouse lore and awareness. As the largest of any of the national lighthouse groups during all the early decades of the lighthouse history and preservation community, USLHS has made a wide range of pioneering contributions to the cause of lighthouse heritage in this country. Chief among its many contributions is the premier journal of lighthouse lore, history and technology, The Keeper’s Log. Evolving over time into a highly professional quarterly publication with original researched articles in a number of categories including American and international lighthouses, news items, reprints from U.S. Lighthouse Service Bulletin items and other topics, the Log has been a touchstone publication for the lighthouse community for decades. The Society also maintains an extensive research library and databases, and to mark its 30th anniversary has embarked on an extensive redesign of its Web site to provide in-depth online resources for the use of lighthouse historians and groups nationwide. USLHS also has restored a lightship and two lighthouses, and will continue that program while also launching a pioneering preservation grant program, the first lighthouse preservation funding program generated within the lighthouse community itself for lighthouse projects. The program is expected to grow as the USLHS Preservation Fund continues to grow over time. The Society’s popular Lighthouse Passport Program also supports individual lighthouse organizations across the country. 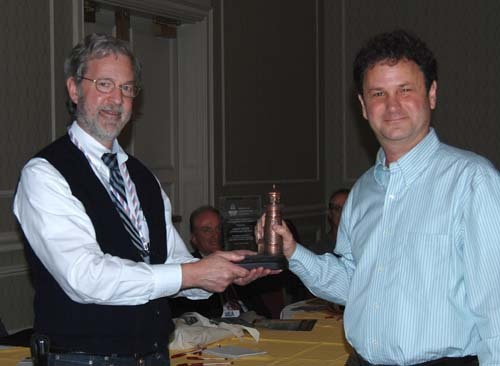 USLHS also pioneered in the development of high-quality lighthouse tours both in the United States and abroad, and hosted a national event on Newport, Rhode Island for the bicentennial of the Lighthouse Service in 1989. The Society was linked by the U.S. Postal Service to the first of its series of stamp issues depicting lighthouses, and in 2009 First Lady Laura Bush presented USLHS and its Chesapeake Chapter the Preserve America Steward Award during its 25th anniversary year. The organization has been active in the development of national lighthouse preservation legislation and in lighthouse community efforts, as well as providing research assistance and advice to lighthouse groups and individuals. Originally located in San Francisco, the Society now is headquartered at Point No Point Lighthouse in the State of Washington. Wheeler continues as president, with Jeff Gales serving as executive director. The American Lighthouse Council is proud to honor the United States Lighthouse Society. Established by the American Lighthouse Council to recognize truly exceptional contributions by an individual or group, the Holland Award is the major national honor bestowed by the lighthouse preservation community. It is named for Francis Ross Holland, Jr., who received the initial Distinguished Service Award that was to henceforth carry his name. Past winners include the American Lighthouse Foundation and the Great Lakes Lighthouse Keepers Association.